The anadromous fishery of New England is threatened by urban pollution, over fishing, weather and damming. The connection between damming and the collapse of these migratory fish stocks was immediate and undeniable and continues to this day. In order to bring attention to the decline and commercial extinction of the fishery, environmental advocacy is proposed. Working with inner-city schools, a watershed and the Division of Marine Fisheries, we propose a celebratory installation of hand-made anadromous fish set at critical nodes along the migration route from salt to fresh water, from harbor to tidal river during the spawning season. 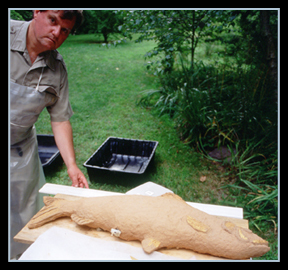 The anadromous fish are made of salt marsh fibers gathered along the migratory route of the smelt, herring and shad. 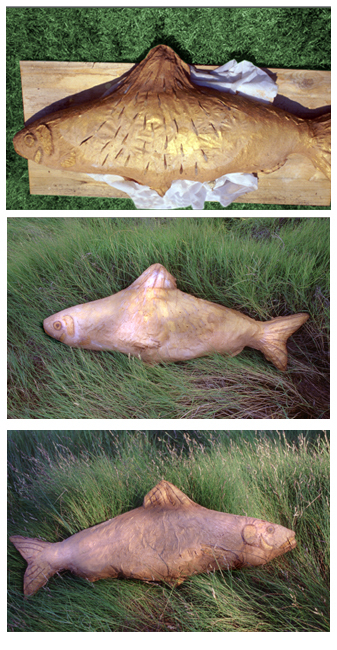 The fish will be made by the school children and will include lectures on anadromous fish by the Division of Marine Fisheries to place the art work in context with the long-term threats to the species. The installation of anadromous, hand-made, cast paper fish, marks a historic and ecological phenomena that few see in the urban setting. The installation will coincide with an exhibition. Additional images from the Environmental Advocacy series.